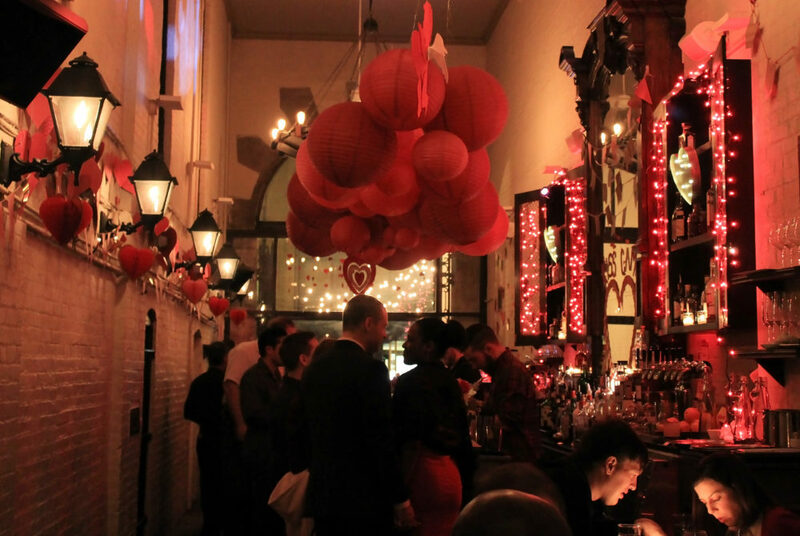 Irongates Bar is decked out with romantic decorations for Valentine's Day. The restaurant is also offering food and drink specials. Dinner and a movie is a tired date night combination. If you want to spice up your Valentine’s Day with a unique date, check out these creative ideas that are sure to help you woo that special someone. Perfect for: Couples who met on Tinder and miss the comedy of choosing to swipe left or right. For $25, watch as comedian Lane Moore live swipes through Tinder profiles and comments on potential matches during this interactive comedy show. Throughout the night, Moore asks the audience to give feedback on whether to swipe left or right on the bachelors she comes across and how to reply to any messages she gets during the show. If you don’t want your date and the rest of the audience to know you have a Tinder profile, you might want to delete the app before the show. Perfect for: 21+ couples looking for a step up from an average dinner date. Bundle up with your partner and bring a blanket, bottle of wine and some takeout food to watch airplanes land next to Ronald Reagan airport. Arrive at around 5:45 p.m. to get a gorgeous view of the sunset during your picnic. Gravelly Point Park is a field that sits on the Potomac River that is about a 30-minute walk from campus or quick Uber ride away. Gravelly Point Park is the perfect way to switch up your typical monument walk or picnic. Flight Trampoline Park in Springfield, Va.
Head over to this trampoline park for an energetic Valentine’s Day date. For $15 each, you and your date can spend an hour playing dodgeball, jumping into a pit full of foam balls and showing off your best flips. The park is about 20 minutes away by car, but friendly competition and massage chairs to relax in after make it worth the trek. This article appeared in the February 13, 2017 issue of the Hatchet.